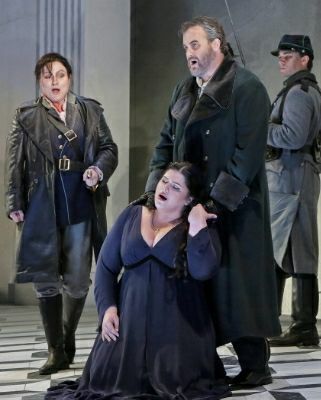 My opera viewings began to include live streams on my home computer, including Cecilia Bartoli's Giulio Cesare from Salzburg, her Otello from Zurich and I Capuleti e i Montecchi from Munich. I traveled to Santa Fe, too. I got in trouble with readers for saying Cecilia had gotten married on flimsy proof. It turned out to be true. This was also the year Joyce DiDonato performed at the Grammys. I went to Los Angeles to see Ailyn Pérez and Stephen Costello in La Boheme where I pegged her for stardom. For another perspective on 2012 see KK Awards. (CD) Otello ossia il Moro di Venezia DVD and medici.tv ** The racial prejudice aspect of the Otello story is far stronger in this early version by Rossini. Cecilia Bartoli was very busy that year. This opera streamed from Zurich, and John Osborn sang Otello in dark makeup. Live Stream. (JK) The original Ariadne from Salzburg. ** This is a play by Molière, Le Bourgeois gentilhomme, followed by an opera by Richard Strauss. It's something you want to see, but not necessarily something you want to see again. I saw it in live stream, but it is now a DVD. Live Stream. The singing prize must go to Leah Crocetto for Maometto II. 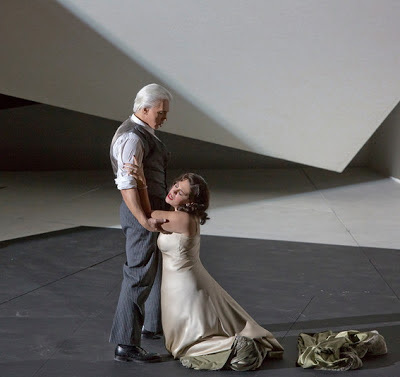 The Met completed the machine Ring with Die Götterdämmerung HD ** It didn't happen for me. Natalie crashed out in Traviata. I watched Katarina Wagner's Meistersinger but still don't understand it. What are the green heads for? Cilea's Adriana Lecouvreur was a DVD with Gheorghiu and Kaufmann. Paisiello's Nina, o sia la pazza per amore was a DVD from Zurich with Cecilia Bartoli. Rossini's Otello was a DVD from Zurich with Cecilia Bartoli.